Giotto's Tower is the Duomo Campanile. A square, built in 1869, with panoramic views of Florence. The square was designed by architect Giuseppe Poggion and dedicated to Michelangelo, the renaissance artist. The domed Cathederal of Santa Maria del Fiore. Visit Del Moro (Lungarno delle Grazie 18) for hats, Bronzista Baldini (Via Palazzuolo 101-103r) for bronze items and Fonte dei Dolci (Via Nazionale 120-122r) for confectionary. The Basilica di Santa Maria del Fiore dominates Florence's skyline and is the major architectural attraction, official cathedral of Florence and the mother church of the Roman Catholic Archdiocese of Florence. The cathedral complex includes its domed roof, the Baptistery and Giotto's Campanile. Ted took the Eurostar train from Rome to Florence, where he stayed in a youth hostel called "Plus Florence" (said hostel was more like a luxury suite, with jacuzzi and free wifi). A good way to work off calories is to climb the Dome (entrance on the side of the church), a total of 463 steps. "Those crazy Schuberts" decided to climb il Duomo at sunset. 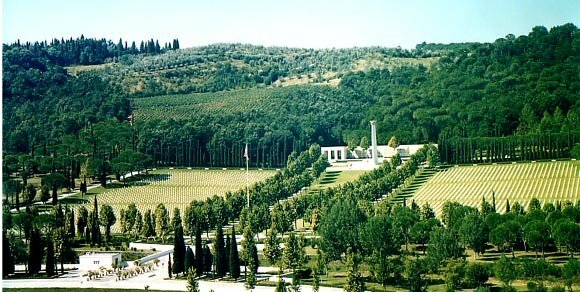 4,402 US soldiers have been laid to rest at the American Cemetery in Florence, Italy. Gucci opens in Florence as a small leather shop. Francesco Pineider opens a shop in Florence, specialising in leather goods, handmade papers & personalised stationary. One of the top restaurants in Italy, offering a trattoria, ristorante and café all served from the same kitchen. 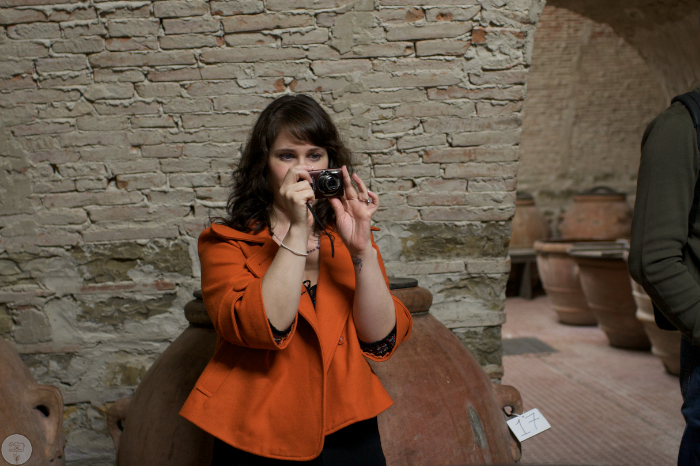 The menu focuses on traditional Tuscan cooking (before the introduction of pasta). Serves fresh food changing by the season. 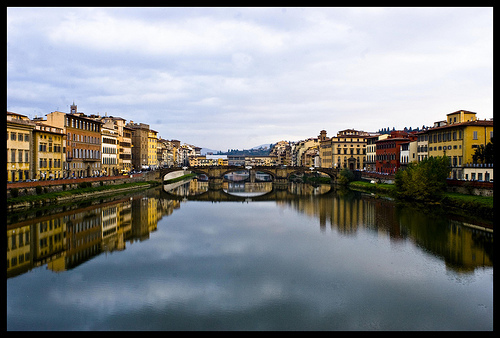 Although Gabe doesn't rate Florence as highly as Barcelona, he took some stunning photos. Here's one of the Ponte Vecchio. 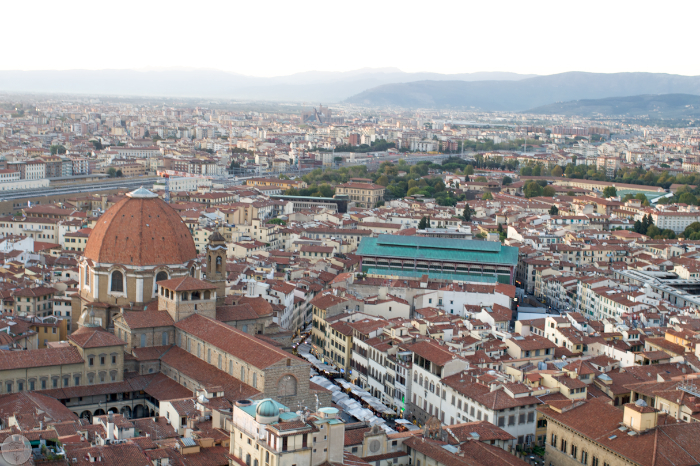 He describes Florence as being about half the size of San Francisco and packed with tourists. 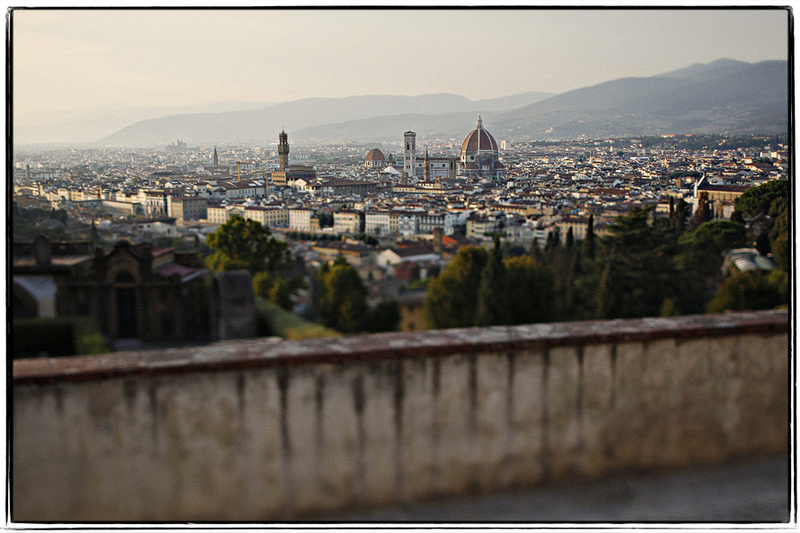 Benj flew to Florence to photograph a friend's wedding, and took some spectacular photos. Look at his website for details, but here's one of the spectacular photos he took. "Those Crazy Schuberts" learned how to make olive oil on an estate near Florence - from laying fabric under the olive trees to catch the olives that are picked, to pouring it into a machine, to pressing the oil out of the paste, to storing the oil in large jugs until it is ready for bottling. MR TTHK took this stunning photo of a sunset in Piazzale Michelangelo in Florence, Italy. 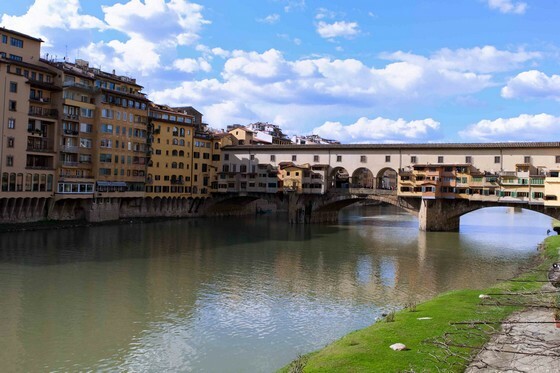 Whilst in Rome, Craig took the Eurostar bullet train to Florence, and took some nice clickies, including the one below of the Ponte Vecchio. 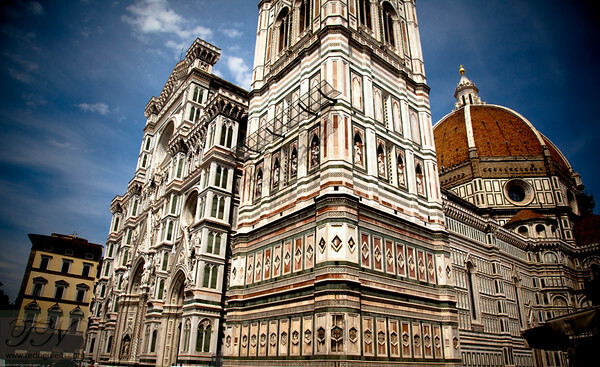 Hotels, guest houses, bed & breakfasts and self-catering accommodation option in Florence, Italy.